When the name Hodge Park is mentioned in Kansas City, many only think of the golf course. 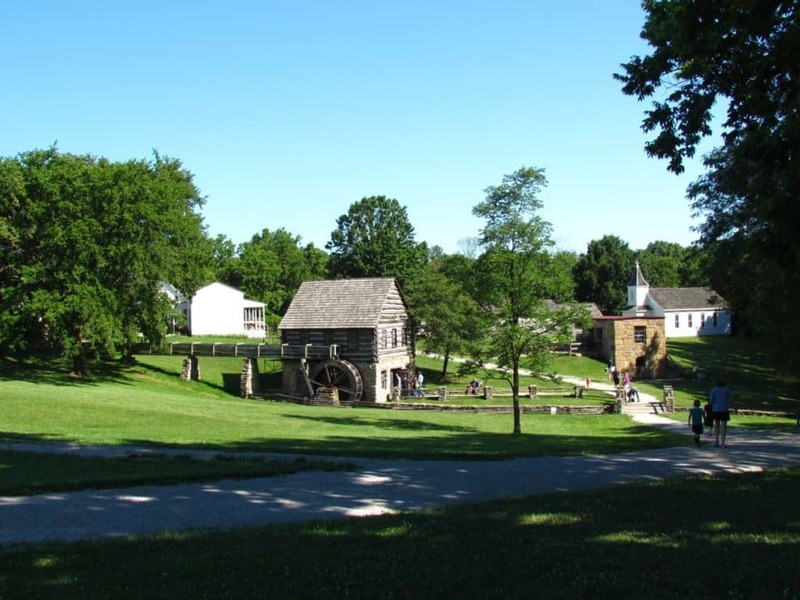 Did you realize this is also home to the Shoal Creek Living History Museum? For years we had overlooked this unique attraction. We made up for this by spending the first Saturday in July with them. After parking in the lot, which is past the golf course parking, we entered the museum park. Shoal Creek is free of charge on most days, but may charge for special events. The first Saturdays of May through September are dedicated to a family friendly event. Each of these days will be free to the public, but they do accept donations. We passed through the gate, and marched up a hill. Our first thought was this was just a big empty nature park, but we were wrong. To one side we found a small herd of bison resting near the crest of the hill. 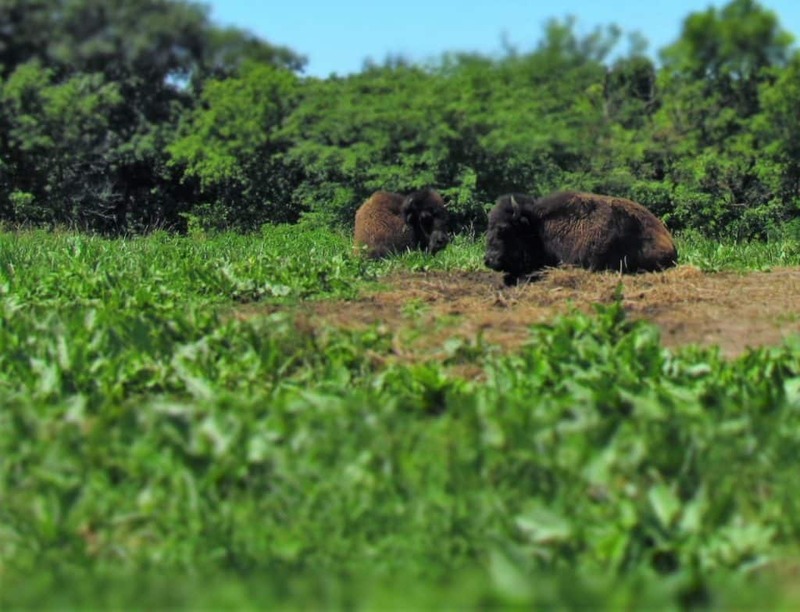 Many of the families stopped to watch the lumbering animals graze. After a short stop for pictures, we crested the hill. Here we saw the town laid out before our eyes. Ahead of us we saw a small portion of the twenty-one structures that make up the village. Seventeen of these buildings date from 1807 to 1885. Many were saved from destruction, and moved to this site from nearby communities. Heading down the hill toward the town, we noticed a campsite on the right hand side. This was set up for the volunteer re-enactors who were here to make the day special. These actors come from all around to participate in the skits and interactions scheduled for the day. We split off from the others who were heading to town, and wandered down to the encampment. As we strolled through the campsite, we saw various costumed characters. Many were in the process of posing for local photographers, which gave me an opportunity to snap some pics of my own. Obviously they all had somber faces, as would have been common in photographs of that time period. 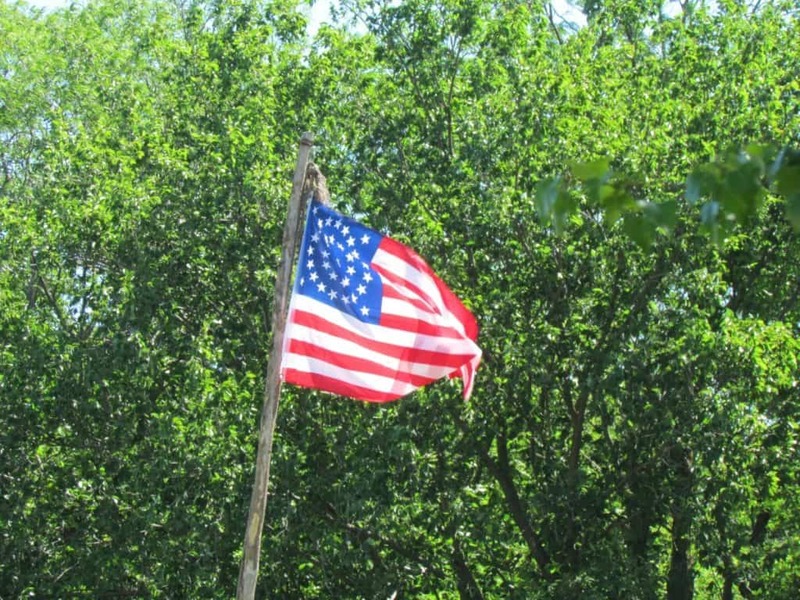 We discovered that this Shoal Creek event was recreating Independence Day in 1867. The Civil War had recently ended, but tensions in Missouri still ran high. 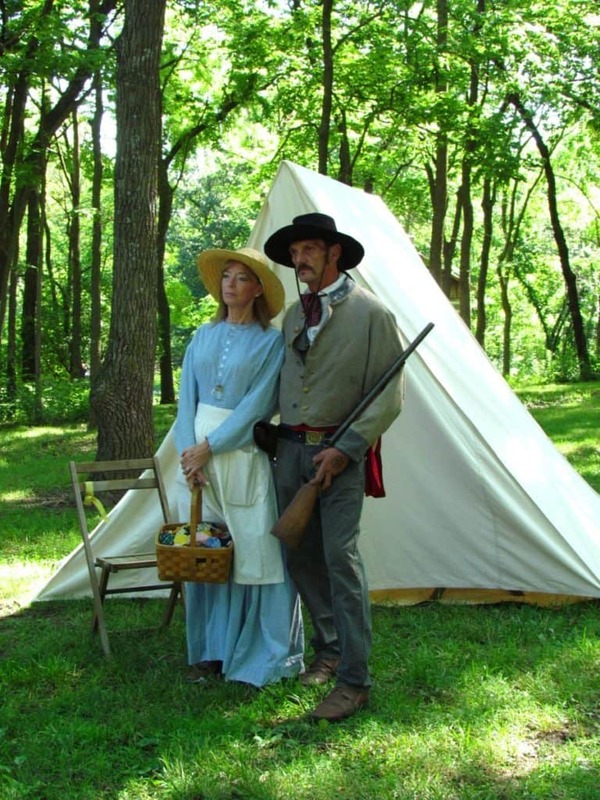 It appeared that the majority of the characters in camp were Missouri ruffians, who had sided with the Confederacy. After departing the campsite, we strolled over to the historic township. On the way in to town, we passed a couple of Union soldiers. Clearly this portion of the museum was held by the recently victorious Union forces. One of the first buildings we came to was the sheriff’s office and jail. We arrived just in time to watch the first skit of the day. A small group of soldiers assembled in front of us, and it was time to officially start the day’s festivities. As the sheriff unfurled, and raised the flag, one of the other performers treated the crowd to a wonderful rendition of the Star Spangled Banner. A black powder rifle volley ended the ceremony. I trimmed the original video for time, but you can see the entire video on our You Tube channel. Just follow the link at the end of our bio on the right side of the page. By now, we had been treated to a little backstory for the day, so we knew that there would be some upcoming strife. During this opening event, everyone stopped their bickering to show homage to our country’s colors. After the ceremony finished, the actors took a few moments to share with the crowd some safety tips. They pointed out the danger potentials even when using blanks. Fortunately, they were all well trained, and extremely cautious when near the public. After this first performance ended, the performers broke up, and mingled with the crowd. They had announced the time and location of the next skit, so we knew we had time to do some sight-seeing. 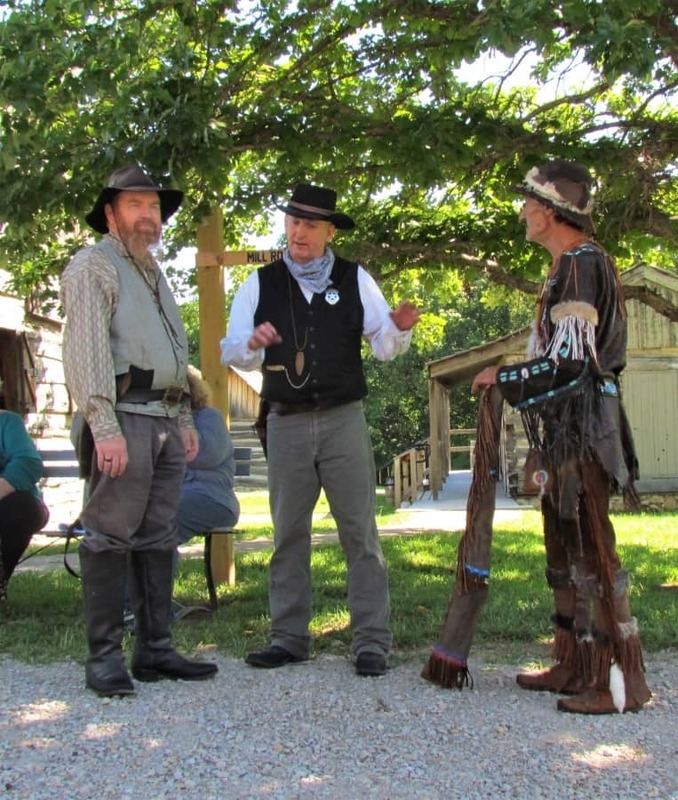 Shoal Creek Living History Museum not only gives performers a chance to interact with the public, they also host a variety of other specialties. 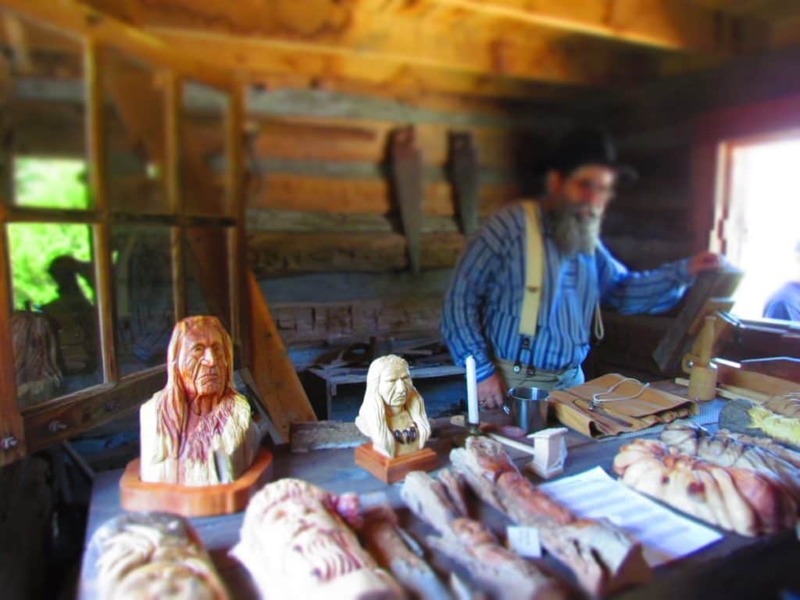 In the old bank building we found a wood carver selling his wares. Of course, he also kept in character with the time period, as did the blacksmith who had one of the most infectious good attitudes. It seemed like just about everyone we spoke with was delighted to have this opportunity. The time was nearing for the next scheduled skit, so we made our way to the main street. Here we found a crowd had already started gathering, but we were able to get a decent location. Before long the Union sided sheriff arrived with deputies in tow. A group of ex-Confederate soldiers were making their way down the main street, when the sheriff interjected. It appeared that one of the Confederate sympathizers was accused of unlawful activities, and threatened with incarceration. This didn’t set well with her family and friends from the other camp. Soon things escalated to a true skirmish, which recreated the type of events that happened in this region just after the Civil War. After the excitement ended, all of the actors returned to mingling with the crowd. Of course, the recent skit had certainly increased the interest from newly arrives visitors, and now the actors were busy posing for pictures. As with all good things, there was a point that we needed to move on. 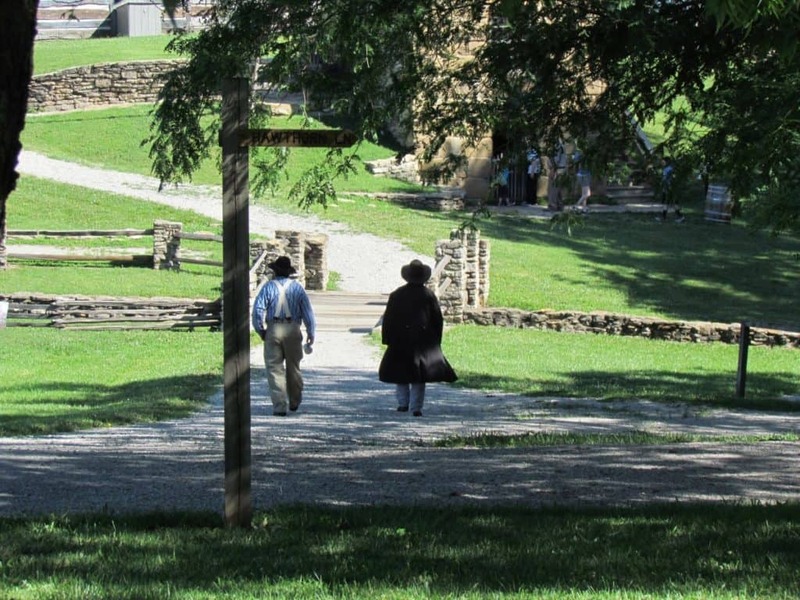 During our visit we had met many people who serve in various roles at the Shoal Creek Living History Museum. 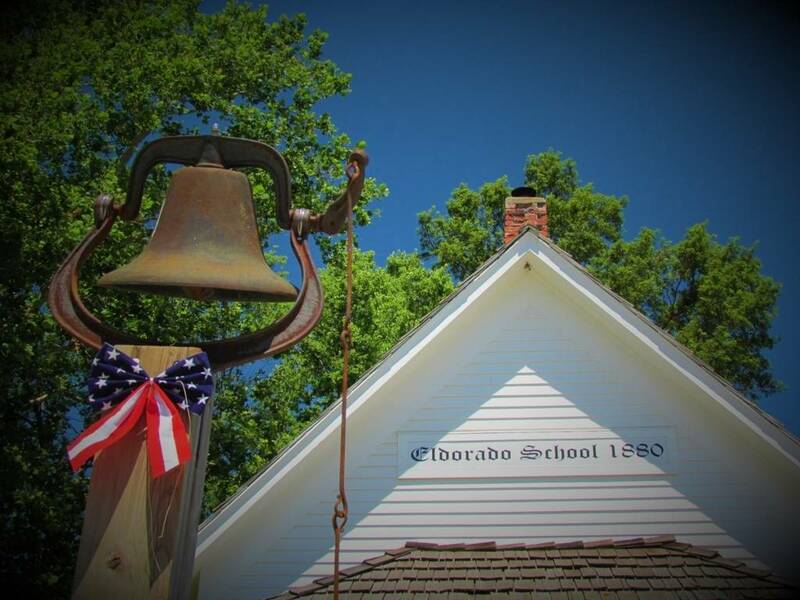 We discovered that there main purpose is to “honor and teach Missouri’s past”. This noble cause was evident in the way they spent time interacting with the crowds. If you have never been to one of these events, we would highly recommend making time to enjoy one. If you would like to visit other great Civil War sites, we have articles on a few on this website. 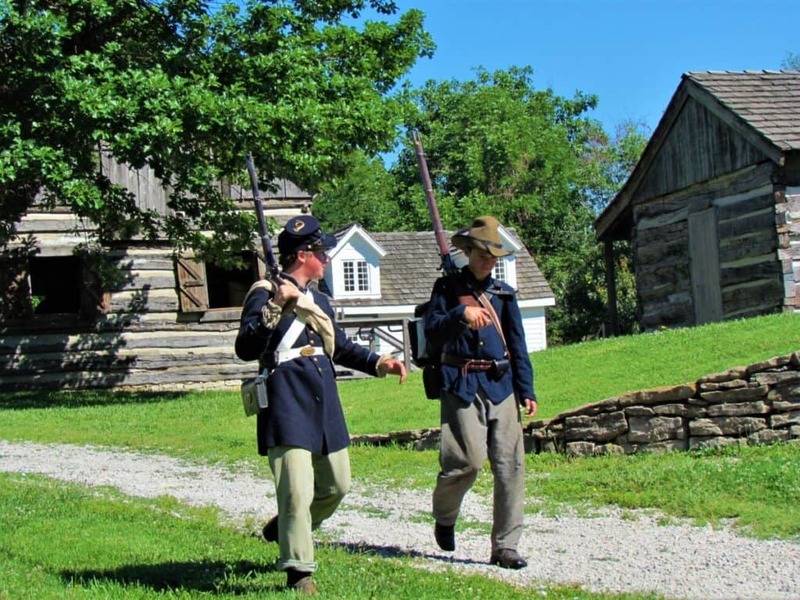 A good start may be the museum dedicated to the Battle of Lone Jack, Missouri. (You can read more about it here.) We hope you enjoy it as much as we did.